NEXEN NFera SU1 XL. TYRE TREAD. MIDDLE TREAD. INNER TREAD. OUTER TREAD. THIS ADVERT IS FOR A PAIR. NORTHERN IRELAND, ISLE OF MAN, ISLE OF WIGHT ETC. HS1-9 IV21 ZE1-3. 205 40 ZR18 92W. RIM PROTECTION TYRES. If You Live Local We Can Fit These Tyres For An Extra £10 Per Tyre. 2 Or More Tyres. A RATED WET GRIP. IV, HS, KA27-28, KW, PA20-49, PA60-78, PH17- 26, PH30-44, PH49-50, ZE. HIGH PERFORMANCE TYRES. ( Rim Protection Tyres ). 225 50 ZR 17 98 W EXTRA LOAD. B RATED WET GRIP. Excellent Wet And Frost Grip. IV, HS, KA27-28, KW, PA20-49, PA60-78, PH17- 26, PH30-44, PH49-50, ZE. HIGH PERFORMANCE TYRES. ( Rim Protection Tyres ). 225 55 ZR 17. B RATED WET GRIP. Excellent Wet And Frost Grip. A RATED TRACTION. IV, HS, KA27-28, KW, PA20-49, PA60-78, PH17- 26, PH30-44, PH49-50, ZE. HIGH PERFORMANCE TYRES. 255 35 ZR18 94 W. B RATED WET GRIP. A RATED TRACTION. IV, HS, KA27-28, KW, PA20-49, PA60-78, PH17- 26, PH30-44, PH49-50, ZE. NEXEN NFera SU1. TYRE TREAD. MIDDLE TREAD. INNER TREAD. OUTER TREAD. THIS ADVERT IS FOR A PAIR. NORTHERN IRELAND, ISLE OF MAN, ISLE OF WIGHT ETC. HS1-9 IV21 ZE1-3. NEXEN NFERA SU1 XL. TYRE TREAD. MIDDLE TREAD. INNER TREAD. OUTER TREAD. THIS ADVERT IS FOR A PAIR. NORTHERN IRELAND, ISLE OF MAN, ISLE OF WIGHT ETC. BY NEXEN X 2. 195 55 16 91 V. ECO FRIENDLY. MID RANGE TYRES. IV, HS, KA27-28, KW, PA20-49, PA60-78, PH17- 26, PH30-44, PH49-50, ZE. 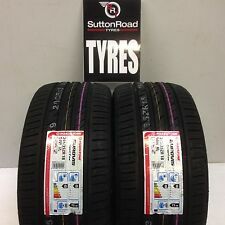 If You Live Local We Can Fit These Tyres For An Extra £10 Per Tyre When You Buy 2 Tyres. NEXEN NFERA SU1 XL. TYRE TREAD. NORTHERN IRELAND, ISLE OF MAN, ISLE OF WIGHT ETC. 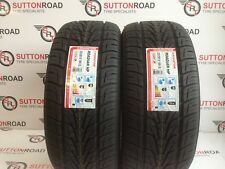 If You Live Local We Can Fit These Tyres For An Extra £10.00 Per Tyre When You Buy 2 Tyres -. ( PRODUCT OF NEXEN ). Rim Protection Tyres. 225 40 ZR18 92 W X L. A RATED WET GRIP. A RATED TRACTION. 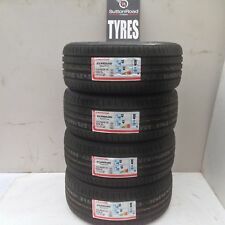 If You Live Local We Can Fit These Tyres For An Extra £10 Per Tyre When You Buy 2 Tyres. HIGH PERFORMANCE TYRES. 225 45 17 94 W X 2. EXTRA LOAD MID RANGE. At Our Tyre Fitting Centre Tamworth. FAST FITTING SERVICE AVAILABLE. 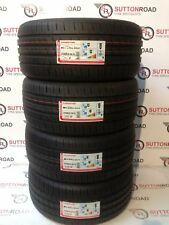 If You Live Local We Can Fit These Tyres For An Extra £10.00 Per Tyre When You Buy 2 Tyres -. RIM PROTECTION TYRES. B RATED WET GRIP. 215 50 ZR17 91 W. A RATED TRACTION. IV, HS, KA27-28, KW, PA20-49, PA60-78, PH17- 26, PH30-44, PH49-50, ZE. 225 40 ZR18 92 W X 2. A - Rated Wet Grip. EXTRA LOAD MID RANGE. FAST FITTING SERVICE AVAILABLE. Why carry a spare wheel ?. IV, HS, KA27-28, KW, PA20-49, PA60-78, PH17- 26, PH30-44, PH49-50, ZE. ( PRODUCT OF NEXEN ). 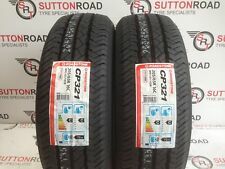 If You Live Local We Can Fit These Tyres For An Extra £12.50 Per Tyre When You Buy 2 Tyres -. 215 55 ZR17 94 W. B RATED WET GRIP. Excellent Wet And Frost Grip. B RATED TRACTION. NEXEN NBLUE HD PLUS. TYRE TREAD. MIDDLE TREAD. INNER TREAD. OUTER TREAD. NORTHERN IRELAND, ISLE OF MAN, ISLE OF WIGHT ETC. THIS ADVERT IS FOR A PAIR. ( PRODUCT OF NEXEN ). RIM PROTECTOR TYRES. 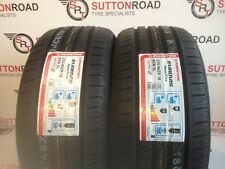 If You Live Local We Can Fit These Tyres For An Extra £12.50 Per Tyre When You Buy 2 Tyres -. 285 45 R 19. B RATED WET GRIP. Excellent Wet And Frost Grip. NEXEN NBLUE HD PLUS. TYRE TREAD. MIDDLE TREAD. INNER TREAD. OUTER TREAD. THIS ADVERT IS FOR A PAIR. NORTHERN IRELAND, ISLE OF MAN, ISLE OF WIGHT ETC. NEXEN NFERA SU1 XL. NORTHERN IRELAND, ISLE OF MAN, ISLE OF WIGHT ETC. OUTER TREAD. 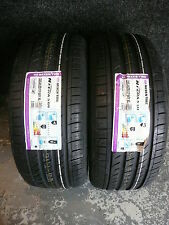 Nexen N8000 tyre 8mm like new. 205 - 55 - 16 91V. 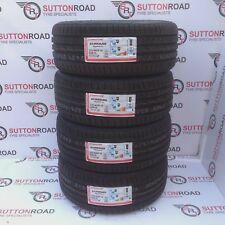 If You Live Local We Can Fit These Tyres For An Extra £10.00 Per Tyre When You Buy 2 Tyres -. ( PRODUCT OF NEXEN ). FAST FITTING SERVICE AVAILABLE. IV, HS, KA27-28, KW, PA20-49, PA60-78, PH17- 26, PH30-44, PH49-50, ZE. 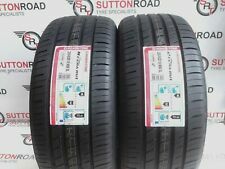 1 X Like New 18" 255 45 18 NEXEN NFERA SU1 103Y XL 255/45/R18 Tyre (8mm tread). Tyres taken from BMW alloys, price is for one tyre. Open to sensible offers! Would do a deal if your buying both available tyres. TYRE TREAD. 185 75 16C. INNER TREAD. MIDDLE TREAD. OUTER TREAD. THIS ADVERT IS FOR A PAIR. NORTHERN IRELAND, ISLE OF MAN, ISLE OF WIGHT ETC. HS1-9 IV21 ZE1-3. Wrong size bought cost over £180 new. NEXEN NBLUE HD PLUS. TYRE TREAD. MIDDLE TREAD. INNER TREAD. OUTER TREAD. THIS ADVERT IS FOR A PAIR. NORTHERN IRELAND, ISLE OF MAN, ISLE OF WIGHT ETC. HS1-9 IV21 ZE1-3. TYRE TREAD. 195 65 16C. INNER TREAD. MIDDLE TREAD. OUTER TREAD. THIS ADVERT IS FOR A PAIR. NORTHERN IRELAND, ISLE OF MAN, ISLE OF WIGHT ETC. HS1-9 IV21 ZE1-3. 225 45 ZR19 96W X 2. B RATED WET GRIP. IV, HS, KA27-28, KW, PA20-49, PA60-78, PH17- 26, PH30-44, PH49-50, ZE. ( PRODUCT OF NEXEN ). If You Live Local We Can Fit These Tyres For An Extra £25 When You Buy 2 Tyres -. Rim Protector Tyres. 235 60 R18 103 V. A RATED WET GRIP. Excellent Wet And Frost Grip. IV, HS, KA27-28, KW, PA20-49, PA60-78, PH17- 26, PH30-44, PH49-50, ZE. NEXEN NFera RU1 XL. TYRE TREAD. MIDDLE TREAD. INNER TREAD. OUTER TREAD. THIS ADVERT IS FOR A PAIR. NORTHERN IRELAND, ISLE OF MAN, ISLE OF WIGHT ETC. HS1-9 IV21 ZE1-3. Low Noise Tyres 68dB. 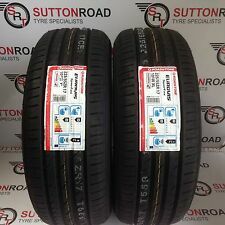 We Can Fit These 2 Tyres For An Extra £15. 225 45 ZR18 95 Y. IV, HS, KA27-28, KW, PA20-49, PA60-78, PH17- 26, PH30-44, PH49-50, ZE. When Collected In Person. HIGH PERFORMANCE. TYRE TREAD. 205 65 16C. INNER TREAD. MIDDLE TREAD. OUTER TREAD. THIS ADVERT IS FOR A PAIR. NORTHERN IRELAND, ISLE OF MAN, ISLE OF WIGHT ETC. HS1-9 IV21 ZE1-3.